VietNamNet Bridge - Environmental pollution, high consumption of coal, lack of solutions to coal-fired plant ash and slag, and a high number of Chinese EPC contractors at thermopower projects are all problems mentioned by Nguyen Ngoc Tran, a respected scientist, at a workshop on thermopower development held by the Party Central Committee for Propaganda. 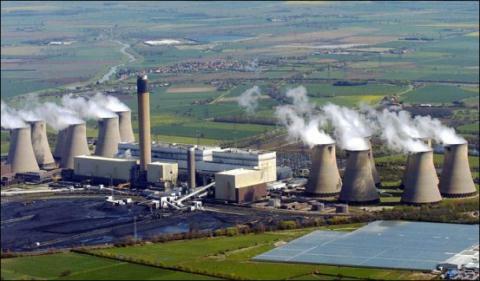 According to EVN, the electricity output from coal-fired thermopower plants will increase from 33.4 percent in 2015 to 49.3 percent by 2020 and 53.2 percent by 2030. By June 2018, EVN had run 12 coal-fired plants, of which 10 plants used domestic coal provided by Vinacoal and Dong Bac Corporation. The other two, Duyen Hai 3 and Vinh Tan 4, use coal imported from Indonesia and Australia. Every year, the coal-fired plants in Vietnam consume 34 million tons of coal, including 25-27 tons of domestic coal and 9-10 million tons of imports. To feed the existing plants and more plants in the near future, Vietnam, which is a coal exporter, will have to import coal. Reports all show that the EPC contractors of many coal-fired power plants are from China, which has raised concern, including worry about technologies and quality of equipment. There have been many problems occurring at plants where Chinese were EPC contractors. The time needed to implement projects is 2-3 years longer than initially planned, while the investment capital is 2-3 times higher than estimated. However, the benefits will be overshadowed by the negative impact of the coal ports on the coasts. This includes the spread of dust into the environment which will badly affect salt production, aquaculture and human health. The total volume of ash & slag produced by EVN’s plants is 8.1 million tons a year. Settling the slag is a heady problem for Duyen Hai and Vinh Tan Power Centers. While waiting for treatment, ash and slag dumping fields kick out dust, thus polluting the air. Dumping fields need regular watering to reduce the dust. Meanwhile, freshwater is in short supply in both Vinh Tan and Duyen Hai. In the context of climate change, extreme weather conditions will occur more regularly and last longer, which will worsen the environment at the ash and slag dumping grounds. Can Vietnam say ‘no’ to coal-fired thermal power?